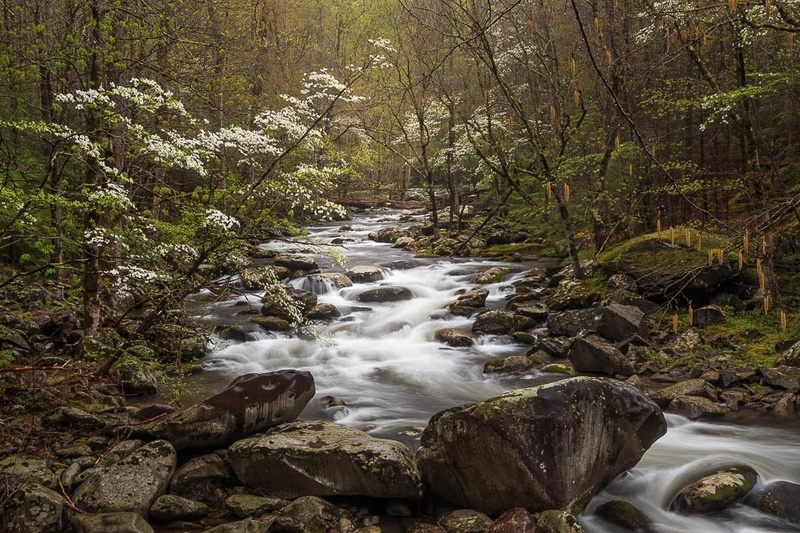 Dogwoods in peak bloom along the Middle Prong Little River in the Great Smoky Mountains NP. Captured in April of 2014. The lighting was near perfect as was the slight drizzle which helped wet the rocks. The wind was calm and prevented movement in the branches/leaves.